The mechanisms of early infant attachment and the important and positive long-term benefits of secure attachment. The developmental psychology of children; how attachment behavior changes through the ages and stages of child development. 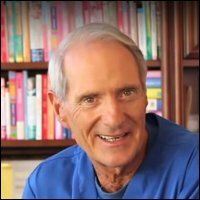 General child parent relationships and interaction. ... but as is the problem with grand theories (even when supported by a large body of empirical data) ... it may feel like something is missing! Because theories' jobs are to generalize. This leaves little space for variation and individuality. I'm not going to say 'don't compare' because we all automatically do it as we all want to fit nicely into the "healthy parenting box" and avoid the "poor parenting box". But when you read about attachment theory be aware that if your child's behavior pattern fits some of the not-so-attractive-boxes, it may be because of your child's particular personality. The theory of attachment does not take individual infant temperaments and toddler personalities into account! This objection is also supported by academic criticism of attachment theory. For instance, your child's particular temperament may indicate an insecure attachment, when in fact your child securely attached. Bearing this reservation in mind, let's proceed to the main points of attachment theory. 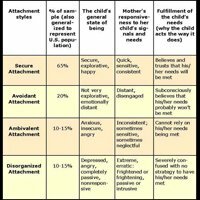 Attachment Theory; It's All About the Bond! The theory of attachment is concerned with the type of emotional bond that develops between an infant and his or her primary caregiver (typically the mother). Within this branch of psychology attachment means 'affectional bond'. The child's tie to his or her mother is called 'attachment' whereas the mother's tie to her child is called 'care-giving bond'. This is where attachment theory differs from attachment parenting. 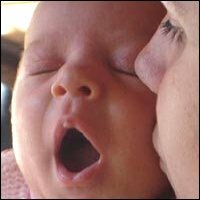 The theory behind attachment parenting is that the mother isn't just a care giver. 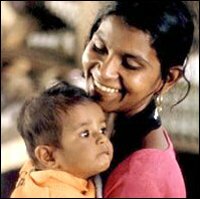 The mother is seen as being just as 'attached' to her child as the child is 'attached' to his or her mother. The 'magnet' attracts both ways, so to speak. 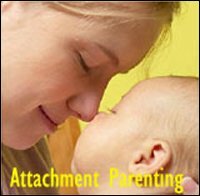 The psychology of attachment views infants as having an inbuilt 'mechanical' behavior system which makes them automatically seek proximity to or 'attach' themselves to someone who they feel is sensitive and responds sensitively to their attachment attempts - once again, typically the mother. Babies live at the mercy of what they feel. They cannot 'regulate' or control the intensity of their own emotions. This means that they may easily become overwhelmed with fear, desperation or sadness and cannot soothe themselves. The soothing is the job of the parent (or caregiver). The parent is the child's navigator within the stormy ocean of emotions. 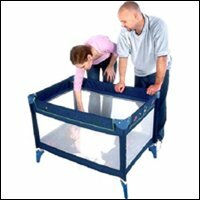 And when the child is securely attached to his or her parent, the child will rely on the parent for this kind help. Being in close proximity of a trusted parent therefore creates what is technically termed a 'secure base'; a safe place from which the child feels secure enough to explore the world. Even though there has been academic criticism of the theory of attachment over the years on various points (e.g. not taking infant temperament enough into account or not exploring the effect of other very close caregivers such as grandmothers or nannies) attachment theory's focus on the importance and long-term effect of early infant bonding and secure attachment is recognized and used as guiding principles in various therapies. - Break the Bond and You Break the Child! According to the founder of attachment theory, psychologist and psychiatrist John Bowlby, the infant bonding to a primary caregiver is necessary if the child is to both physically survive, obtain existential security and go through healthy psychological development. It may cause psychological stress, irreversible damage, and deep depression in the child. The child may also have difficulties establishing and maintaining healthy adult to adult relationships later in life. 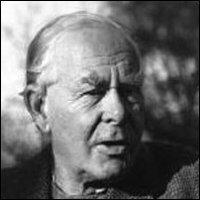 When studying young hospitalized children post World War II, John Bowlby gained insight into what happens when for some reason the attachment bond is periodically severed. His insights into the psychology of children and child grief were subsequently included in a campaign aimed at changing the strict hospital policies concerning the very limited visits, parents were allowed to pay their hospitalized children. 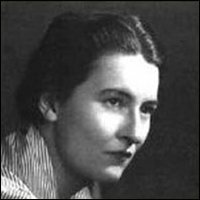 One of John Bowlby's students, developmental psychologist Mary Ainsworth, made it her quest to further nuance Bowlby's theory. In the 1960s and 1970s Mary Ainsworth developed a lab method called the Strange Situation Protocol, in which she observed how babies and toddlers reacted to their mother's sudden disappearance and reappearance. These Strange Situation tests resulted in a theoretical system aimed at identifying various infant attachment styles for children at the age of 11 months to 18 months. o	The parent child relationship is healthy and secure: The child feels securely attached to his or her mother, which enables the child to feel secure enough to explore the world when being within her proximity. o	The parent child relationship is 'insecure': The child seems passive and indifferent to his or her mother and tends to treat her and a stranger alike. o	The parenting child relationship is 'insecure': The child is nervous and anxious and is afraid of separation even before it occurs. After separation the child is not comforted easily and may react with anger. •	Later in the 1980's the pattern of disorganized attachment also known as disorientated attachment joined the troop formulated by Mary Main. o	The parenting child relationship is 'insecure': The child is very confused and has no consistent response or coping pattern. Instead there may be strange behavior such as rocking or freezing when the child reunites with his or her mother. ... but once again, experts within the field of psychology of children also claim - and mothers of several children know - that infants come out with different personalities from the start; some are very sensitive or anxious, others, very calm. Please remember: It's all just theory, not everything will fit the big picture (for instance see my parenting article about my own high need baby son whose 'needy' behavior sure didn't fit ideas about common baby behavior and typical baby separation anxiety patterns)! Back to the top of this page about Attachment Theory is Good Basic Knowledge ... But Misses Out on Individual Infant Temperaments!